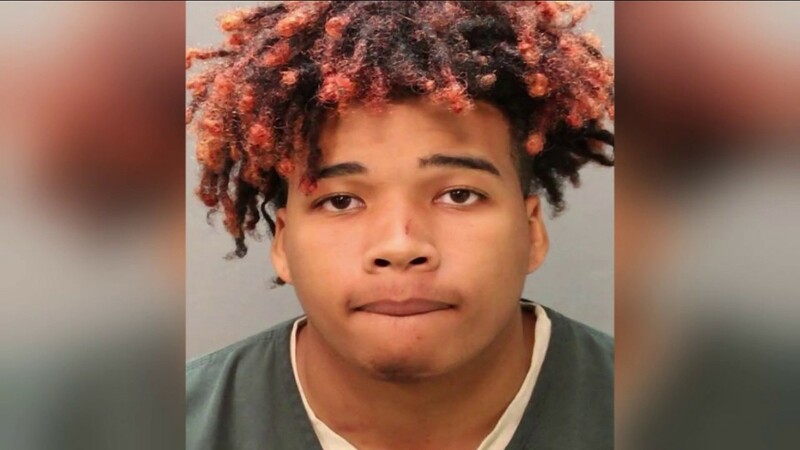 JACKSONVILLE, Fla. - Jacksonville police have made a murder arrest in the killing of a 20-year-old man struck by a hail of gunfire Wednesday night while his car was stopped at an Arlington intersection. Izhaan Shamar Scott, 18, is charged with one count of murder and two counts of attempted murder in the shooting that killed Trevor Christian Gray, according to the Jacksonville Sheriff’s Office. Gray was found shot multiple times behind the wheel of a car that crashed near the intersection of St. Johns Bluff Road and Atlantic Boulevard at about 9 p.m. Wednesday. He was taken to Memorial Hospital, but he did not survive. Though the vehicle crashed at the intersection, investigators learned that the shooting unfolded about a quarter-mile down the road near St. Johns Bluff Road and Bahia Drive. Nine 9mm shell casings were found at the scene. The Sheriff’s Office said the shooting stemmed from a fist fight that broke out moments earlier between Scott and one of Gray’s associates in the parking lot of a nearby Circle K gas station. Gray and his acquaintances left afterward, but Scott got into a silver Toyota Avalon and followed Gray’s vehicle until it came to a stop at the traffic light at Bahia Drive, according to Scott’s arrest report. Witnesses told police the Toyota pulled up next to the driver’s side of Gray’s vehicle and someone inside opened fire, striking Gray multiple times.